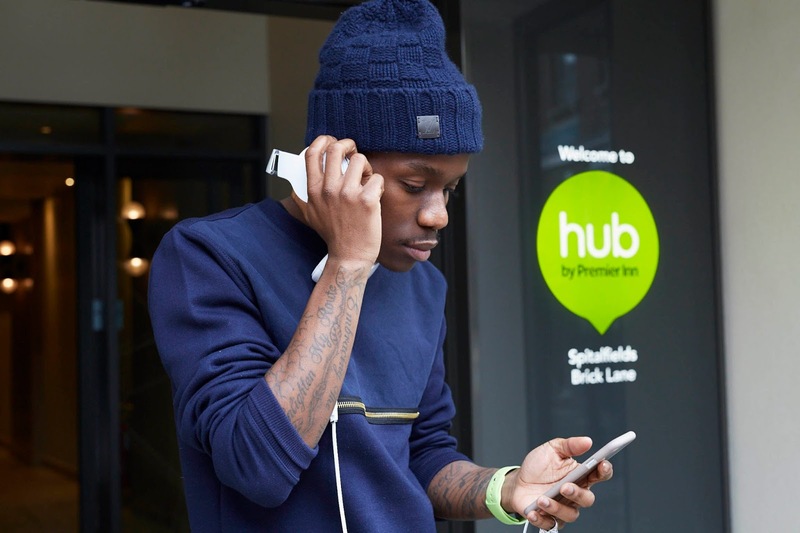 British rapper Tinchy Stryder has collaborated with the Premier Inn to launch their hub by Premier Inn hotels, as they've set him a challenge to create a song in 24 hours from his hotel room, using high-tech recording equipment and the hub's super-fast wifi included in all rooms within the hotel, with the track being released in Mid-June. Stryder says that he's excited to be creating music in such a unique way. "It’s going to be a huge challenge to create and produce from an alternative space like a hotel, but I’m confident that the great technology I’ve been shown so far will help me do it!". Technology features heavily in rooms within the hub, as there's an ability to control the lighting, temperature and even the TVs within the smartphone app that's downloadable from the app store when you stay at the hotel. The hub has locations in Tower Bridge, Edinburgh and Brick Lane Spitafields (where Stryder will be exclusively launching his single) to name a few. You can follow hub Hotels on Twitter, Instagram and Facebook for updates on the track and interviews with Stryder.